How do we lead teens into a relationship with Our Lord? How do we teach teens to appreciate our beautiful faith? Life Teen answers these questions. Youth@SJN is ministry for middle and high school students. Efforts are directed at fostering the total personal and spiritual growth of young people and drawing them into responsible participation in the life, mission and work of the faith community. Youth@SJN is tied closely with Generations of Faith which encourages the entire family to participate in this faithful journey. Youth@SJN is for all middle and high and school students from 6th to 12th grade. 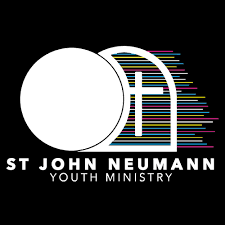 We would appreciate any kind of prayer devotion for the success of Youth@SJN here at St. John Neumann! It is through the power of the Holy Spirit that we are able to be fruitful with this ministry. If you are interested in using your time, talents, or treasure to help this ministry, please contact the Youth Minister, Madonna Gil, (210) 654-1643 or youthminister@sjnsa.org. Order the official Youth@SJN T-shirt! Follow us in IG @sjnsayouth for a chance to win a free shirt!